As January comes to an end, a longstanding Southbridge business will close its doors. However, it won’t be closing due to the modern economic pressures of running a small business, competition from internet-based products or any other type of pressure that typically puts a strain on locally based entrepreneurs. Instead, shop owner Judy Ferguson is retiring after more than 34 years in business. She announced in December that she would be retiring and closing Village Photo and Portrait Studio. The reaction was quick and overwhelming after the announcement. 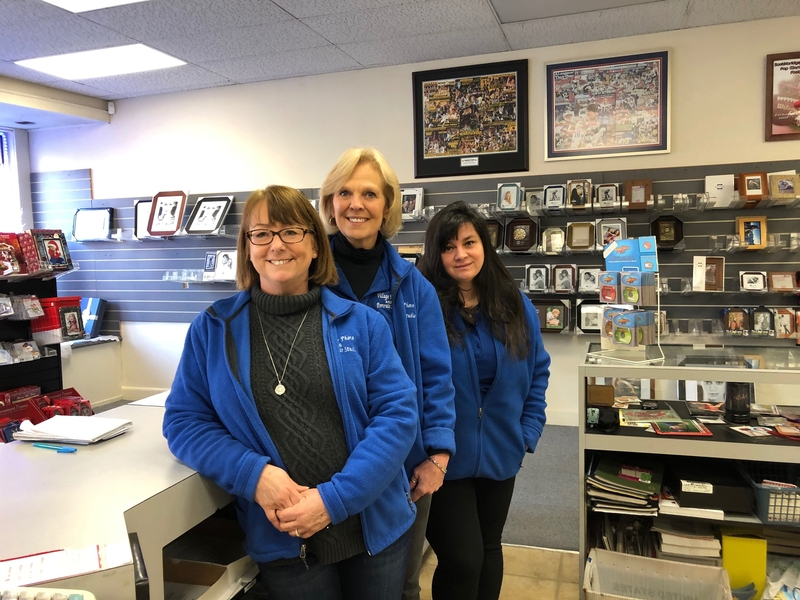 Customers and friends began to express sadness to see the longtime Southbridge photo shop and studio close, as well as congratulations to owner Ferguson on her retirement. Another wide reaction to the closure says even more about the place that Village Photo and Portrait Studio has held in the local consciousness: orders started to pour in. Locals familiar with the store saw a last chance to get photos printed, to have a portrait taken or to make use of any of the other services and products that they might have been putting off with the thought of walking into Village Photo for in the future. The increase in business after the announcement created a larger volume of work, even as Ferguson and her staff were working extra hard to clear out the space before February 1. It seems remarkable that a photography business, in particular, would stay in business for more than 34 years alongside the historic transitions brought by the age of widespread internet use and digital products. When Ferguson started her business in a plaza in Sturbridge in 1984, even the idea of one-hour photo film developing was relatively new; Village Photo was one of the only shops in the region that offered that service. Ferguson had to adapt to changes in the industry, offering innovative products and personal attention to customer needs and to quality work in particular. This approach would serve her well. After starting in Sturbridge, Ferguson moved her business to Southbridge with a temporary location on Hamilton Street and then to her permanent location at 345 Main Street. Longtime residents of Southbridge or those who grew up here might recognize the address as the former location of Tot to Teen and Tigers’ Den clothing shops. A visible former division of shop spaces in Ferguson’s portraiture studio shows where the former wall of shoes at the back of Tot to Teen was. The clothing shops had been a familiar landmark for generations of local back-to-school shoppers. Ferguson says that a key to staying afloat in a business that could otherwise be threatened by online services is to remain community oriented and to deliver the type of quality that is not readily available through online retailers. Both community involvement and dedication to personalized quality have resulted in a position of trust that became apparent with the wave of business that appeared when Ferguson announced her retirement. “I love working for people, and community investment is really big for me too,” Ferguson says. Village Photo and Portrait Studio handled a range of projects from prom and graduation photos, professional portraits to delicate photo restorations that might be either historically significant or have irreplaceable sentimental value to a family. Ferguson recalls one order that involved creating a photo for the obituary or funeral services of a man whose only known photograph was on his drivers’ license. Whether it is returning an irreplaceable photo from the past or creating a quality product at a milestone in life, Ferguson says that the individual attention to quality and the relationships she could offer helped her to maintain an advantage over online products. That is not to say that the transition from the film-based photography services when Village Photo opened and the digital-based products of today was smooth. Like any small business, Ferguson had to work hard to adapt. Although she made the transition successfully, she does describe the process of accommodating digital changes as “painful and expensive” at times. Ferguson will continue to be a part of the community that she engaged as a business owner. She intends to remain involved in the Southbridge Business Partnership, and she will continue to honor on-location photo shoots that she has scheduled for proms, graduation or other events. She may occasionally accept on-location jobs in the future as well, but she will no longer have studio space or much of the equipment that her retail shop has held. Her continued involvement in the local community and photography of selected events is a reflection of both the relationships she has nurtured in her business and her love of what she does. “Those things mean a lot to me,” Ferguson says. Below are some photos taken by The Citizen Chronicle photographer Helen Boyle in the last days of business at Village Photo and Portrait Studio. Featured photo of staff taken by Sarah Champagne. Featured photo of staff, L-R: Michele Moran, Judy Ferguson, Emma Buccheri. Featured photo of external storefront (above) courtesy Judy Ferguson. Happy retirement my friend, you deserve it. Thanks for all the awesome projects you did for us. You’re the best!